PUSHING THE LINE will inspire, stimulate and challenge you! It is an opportunity for you to step into the unknown, try new approaches and take a risk in your practice. Each tutor has designed their own one day workshop, creating a very unique and engaging drawing experience every day. 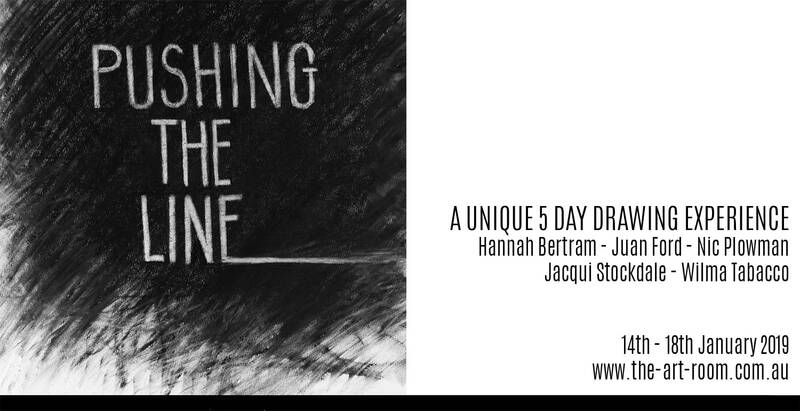 The sessions will allow you to experiment with unconventional approaches to drawing, and the intensive is run over five consecutive days allowing for concentrated focus and development. Places are filling fast, for all the details and to book CLICK HERE. next post: Student exhibition this weekend!